Erath County Senior Citizens, Inc., doing business as Meals on Wheels of Erath County, is a non-profit organization that seeks to improve the physical well-being and mental welfare of Erath County senior citizens by engaging in and promoting activities that enhance independent daily living. Clients are typically over the age of 60 years, home-bound or otherwise unable to prepare adequate meals. Donations and volunteers always welcome! Erath County Senior Citizens, Inc., Meals on Wheels of Erath County is a non-profit organization that provides services including Home-Delivered Meals, Transportation, and Congregate Meals for elderly residents of Erath County who are in need of assistance. ECSC receives funding from the North Central Texas Council of Governments/ Area Agency on Aging, Texas Department of Human Services, Texas Department of Agriculture, as well as local organizations including the Erath County United Way and Erath County. ECSC provides monthly reports to the NCTCOG/AAA and TDHS concerning the services provided to clients. The staff of ECSC oversees the delivery of one hot meal, five days a week to about 200 home-bound clients. These meals are served at lunchtime and delivered by volunteers. For clients who live in surrounding communities such as Lingleville, Duffau, Morgan Mill or Bluff Dale, a volunteer delivers one hot meal a week plus frozen meals for the rest of the week. Frozen meals are also sent to clients ahead of holidays such as July 4th, Thanksgiving and Christmas. ECSC also provides Ensure nutritional supplement to qualified clients each month, based on physicians’ prescriptions. ECSC maintains a contract with City And Rural Rides, CARR, to provide in-county transportation services to eligible elderly clients. This service is used to increase the availability of transportation to elderly residents of Erath County. In 2012, ECSC and the Stephenville Senior Center started a collaborative effort to bring congregant meals to seniors over the age of 60 every Tuesday and Thursday at the Stephenville Senior Center. In 2015, we were awarded a grant from Banfield Charitable Trust to help establish a pet assistance program here at Meals on Wheels of Erath County. The program will focus on supplementing pet food for one inside companion pet of qualified clients. 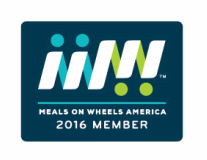 City and Rural Rides recently announced an important update regarding transportation services for Meals on Wheels of Erath County transportation clients.